Self-love is essential, but sometimes it’s easier said than done. For some people, self-love is an ongoing and arduous journey. And any support we can get in the self-love department is welcome. We all want to be loved. However, we usually expect this love to come from other people, and we forget that love starts with us. Of course, we should love one another, but when we think love always has to come from outside of ourselves, our understanding of love gets skewed. For example, if you think you can only receive love from other people, you may think love is conditional and hard to get. What’s more, you may think that you aren’t worthy or deserving of love. But if you believe that love starts with you, you believe that you don’t need to earn love. You give yourself love because you’re already worthy – just by being. Another all-important reason why love needs to start with you is that how you love yourself is actually a silent cue to others about how they should love you. According to the Law of Attraction, where focus goes, energy flows. Therefore, if you don’t give yourself love, you attract this lack of love from others. Instead of love, you attract disrespect, being taken advantage of, toxic relationship patterns and even abuse. So, the first reason why love starts with you is that it’s your most precious responsibility to yourself. Secondly, it teaches others how to behave towards you. Self-love creates a beautiful experience for you and everyone else in your life. 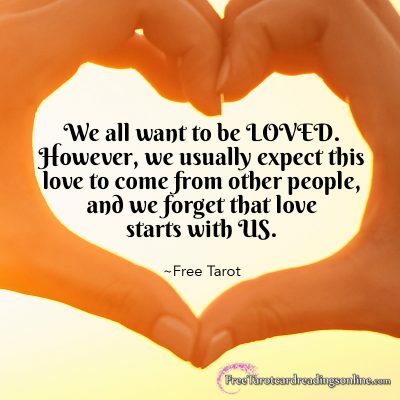 But it’s easier said than done, and Tarot cards can help make it easier to love yourself. The first way to use your Tarot is to simply ask it what you love the most about yourself. Then, draw one card. This Tarot card isn’t your answer. Instead, it’s a gentle prompt to help you reflect on yourself and answer your own question. Spend a few minutes meditating on the card, and then journal everything you love about yourself for five to 10 minutes. You might feel like you’re blowing your own horn. Or, you might have a hard time coming up with things you love about yourself. But don’t give up. Commit to this journaling practice and jot down whatever the card is that inspires you to write. For example, Strength, one of the Major Arcana cards, represents strength, courage, and compassion. If you draw this card, think of the ways you are strong, courageous and compassionate, both with yourself and others. Then, love and appreciate these qualities about yourself. The first self-love practice involves drawing a card at random and allowing it to inspire you. 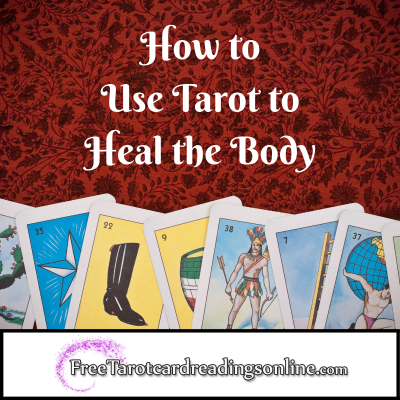 But you can also be a little more intentional with your self-love tarot ritual. 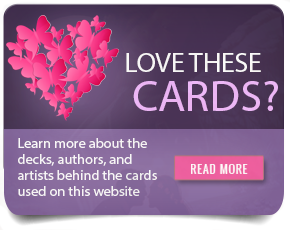 In this practice, select the most self-loving and nurturing cards. Then, meditate on them and allow them to inspire you to love yourself. Consider including these cards in your self-love spread. Rich in meaning, the Star shows a woman holding in each hand a bowl of water. The right hand (consciousness) pours water into the dry land. Her left hand (the subconscious) pours water into lush land. The Star reminds you that you have the ability to renew and find your purpose. If you look closer, one foot dips into the water, representing her ability to listen to her intuition. Her other foot is solidly planted on the ground, showing her common sense. The Star encourages you to have faith in yourself. A symbol of fertility, the Empress draws on the fecund energy of Mother Earth to rejuvenate and nurture herself. The Empress can help you recognize your own femininity and beauty, and also remind you of your own abundant nature and ability to create. Sometimes life gets the better of us, and we live in one extreme or another. We fall out of alignment, and things fall to the wayside. When it’s time to get back on the bandwagon, turn to Temperance. With one foot stepping on the rocks and the other dipping into the water, she reminds us of the importance of being both grounded and going with the flow. She represents moderation and balance. But perhaps more importantly: patience, which is a quality we need when we’ve disappointed ourselves and need to start over. The world is a busy and distracted place, and it’s easy to feel lost and wayward. We lose touch with ourselves and our inner knowing, feeling unfulfilled, depleted and disappointed with life. The High Priestess is a silent strength encouraging us to turn away from the material world and turn our gaze inwards. What does your divine energy say? What is your intuition telling you? In this card, your subconscious mind is represented by the cup. The cup is overflowing with your emotions and intuitive flow. Hovering above the cup is a dove, reminding us that Divine love passes through our subconscious mind to conscious awareness. When reversed, the Ace of Cups represents self-love and repressed emotions and maybe a helpful card when self-love feels inaccessible or blocked. This introspective queen sits on the water’s edge, symbolizing emotion, spirit, and feeling, and she encourages you to come to the water’s edge, too. Here, the quiet allows you to honor your emotions, which originate from deep within you. When reversed, this card suggests emotional insecurity or even an unhealthy dynamic of co-dependency. So, when you need to strengthen your emotional security, look to the Queen of Cups. Remember, you have the ability to become more attuned to your emotions and what they’re telling you, and ultimately, to love yourself. 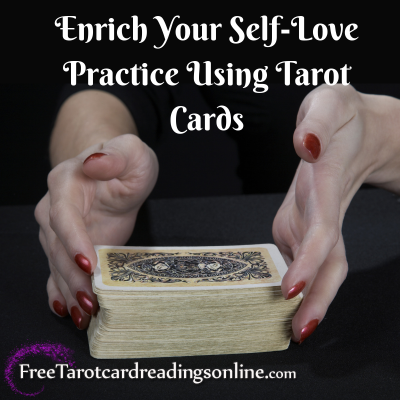 The first self-love practice uses tarot cards to inspire you to praise yourself for your beautiful qualities. The second practice instead gives you the opportunity to draw strength and inspiration from loving and nurturing cards. This final self-love practice is an opportunity to increase your self-awareness. This, in turn, allows you to grow in love with yourself. Why am I feeling _______? What did this situation or this person make me feel upset? What do I need to navigate this situation? What would a friend advise me to do in this situation? What do I need in order to heal _________? Once you have your question, ask your Tarot deck. Then, shuffle the deck and draw one card. 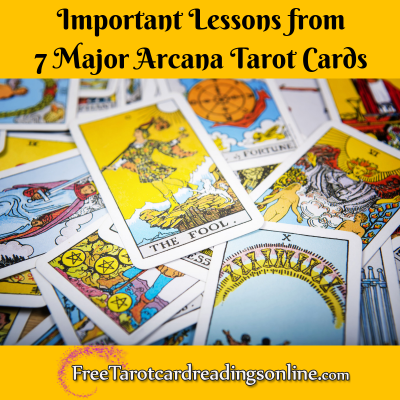 Tarot cards are wonderful tools to trigger our intuition. 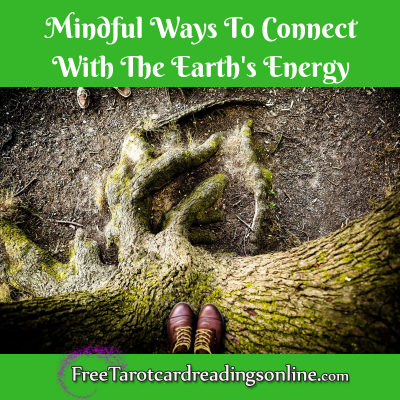 So, instead of giving you an answer, the Tarot card will guide you to listen to your intuition and your own inner knowing. Very often, you already have the answers within you, but we’re not sure where to look. Or, we’re not sure which voice is our intuition and which one is our ego (or, our fear-based mindset). 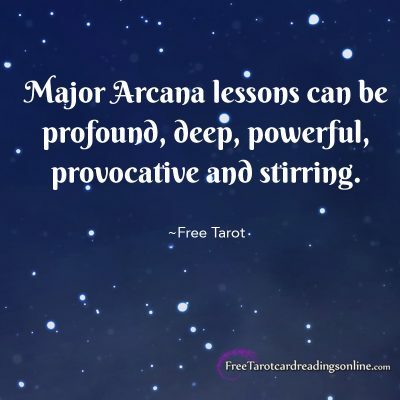 With the Tarot to guide you and point you in the right direction, you can decipher the voice of your intuition and inner knowing, and feel brave enough to listen to it. And with greater self-awareness, you can increase your self-love, too. 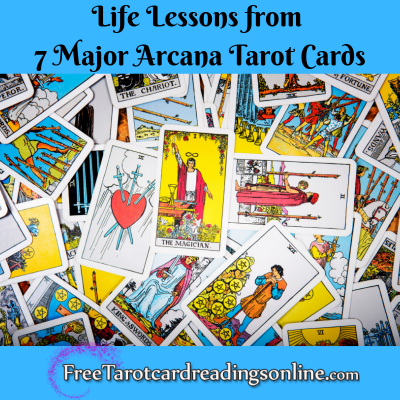 Tarot is a nurturing and gentle way to practice self-love. Whether you draw your strength and inspiration from The Star, The Empress or the quiet Queen of Cups, each one is there to support you in your own self-love journey. Zodiac and moon signs are a trendy topic. You can pick up just about any newspaper or magazine, and find a horoscope for your viewing pleasure. There are even more astrological resources available online. And on the one hand, it’s wonderful that astrology is so widely accepted, but its popularity has also led to a lot of overreaching generalizations and vague information – information that we nonetheless accept as true. Unfortunately, this isn’t the best way to use astrology. In fact, when you use astrology in this way, you limit yourself and make it more difficult to live an authentic life. People are narrative beings, and we like to explain our lives within the context of a bigger story. 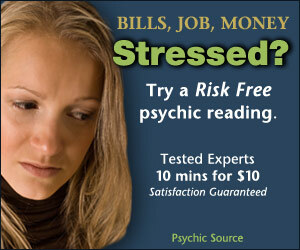 As it turns out, astrology provides the perfect solution for this inherent need. 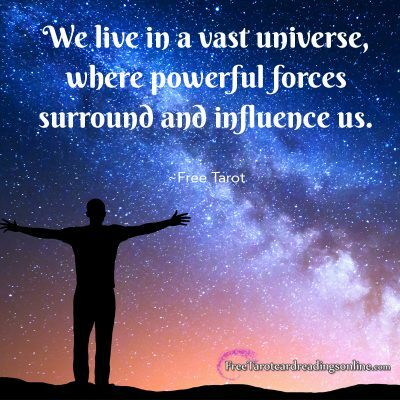 After all, we live in a vast universe, where powerful forces surround and influence us. Astrology is one way to situate ourselves within this greater whole, and to give meaning to everyday living – even the moments that seem utterly meaningless. Astrology gives us a strong sense of assurance and connection. However, it’s possible to take this cosmic significance too far. If left unchecked, it can lead to fatalism. That is when we think our fate and future is out of our control, and that what happens is a result of the stars and planets above us, rather than our actions and decisions here below. In short, when we use astrology like this, it can create a limiting narrative. Back at the beginning of the 20th century, sun sign horoscopes were introduced into newspapers to increase sales. However, this has done a great disservice to astrology by whittling down an intricate and involved study into a couple sentences about each sun sign. For this reason, many people know their zodiac (sun) sign even if they’re not into astrology, but there is so much more to astrology than the sun sign. Your birth chart, for example, lays out the exact location of the sun, moon and planets, and their relationship with one another, at the exact time and location of your birth. Together, all of this information is deeply meaningful and relevant. When analyzed and decoded as a complete whole, it helps to explain the many facets of your personality, including how you think and feel, what your strengths and weaknesses are, and things you are likely to enjoy or not. However, what often happens is people don’t know and/or understand their birth charts. Instead, they focus on their zodiac sign, or even worse, only one or two key aspects of their sign. For example, have you ever heard someone say the following statements before – yourself included? There are several reasons why this sort of relationship with your zodiac sign can set you back rather than forward. Without a cultivated understanding of your horoscope, you end up with a vague and general narrative – something that could apply to anyone. What’s more, we can cherry-pick certain aspects of the zodiac, keeping things that support what you believe, and tossing what doesn’t. In some cases, we end up using our zodiac sign as an excuse to not take responsibility. If you believe you need to match your sign, you may censor your true self, or stop living authentically. When we believe we’re one specific sign, we think we need to fit that zodiac. As a result, we get stuck in a sign and cling to an identity that may not be accurate, instead of getting to know the truth of who we really are. Many people rely on zodiac signs to figure out what yoga poses to do, who to date, or even how to relax. Now, that’s not to say there isn’t helpful guidance in information like this. However, it’s also easy to form prejudices and then project pre-existing assumptions and characteristics onto other people or even yourself. In short, we develop cognitive bias and see traits we’ve been primed to see, rather than what’s really there. 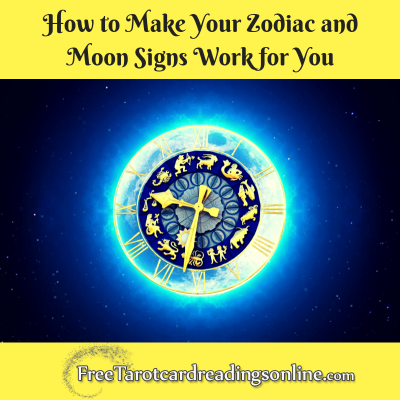 So, how can you make your zodiac and moon signs work for you? How can you make your entire horoscope a useful tool for authentic living? Let’s find out. You can compare astrology to a weather forecast. For example, you may have a plan, but when you check the forecast and see that it’s going to rain, you get to choose how to continue. It’s similar to horoscopes. For example, you may have a project or a life goal you want to pursue. Then, when you check your horoscope, you understand how the powerful universe is behaving and how you can use this energy in your favor. Rev. Colleen Lemma has weekly and monthly Angel Astrology videos that help to see the positive side of your birth chart. Take the Void of Course Moon or Mercury Retrograde as two examples. The Void of Course Moon (VOC Moon) lasts for a few minutes or even for a full day, and it occurs every couple of days. During this time, it’s a good idea to avoid starting or finishing major projects. That’s because things may not go according to plans, or they just don’t work out as they’re supposed to. Instead (and if possible) use this time to continue researching and doing inner work. Once the VOC moon has passed, you can start or end big projects. Mercury Retrograde doesn’t happen as frequently, however, it’s much more popular than VOC moons. During this time, communications and ideas tend to go astray. But this doesn’t mean we need to stop communicating completely. Instead, knowing when mercury is in retrograde reminds you to be more clear. It also encourages us to be more patient and compassionate both with ourselves and with others. Together, your sun sign, moon sign, ascending sign and the position of personal planets paint a beautiful image of you, with intricacy, shading, and nuances. When you rely only on your Zodiac sign, you’re truly selling yourself short. For this reason, it’s a great idea to get a complete birth chart or even meet with a professional astrologer. Knowing where the stars and planets were at the time of your birth can help affirm what you already know about yourself, and it can also explain different areas of your personality that you haven’t fully accepted yet. That’s because as powerful as stars are, they don’t force. They favor. So, they’ll indicate what your potential is, or what you can aim for, but they’re never intended to make you feel like a victim in your own life or to keep you stuck all because you’re a _______ (insert Zodiac sign). Obstetrician and gynecologist, Dr. Christine Northrup, M.D. 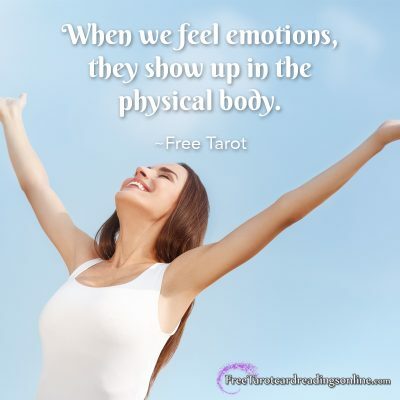 is a women’s health expert and New York Times bestselling author of “Women’s Bodies, Women’s Wisdom.” And yes, Dr. Northrup gives credence to astrology. The universe is already in alignment, moving in perfect synchrony – like a perfectly choreographed dance. We don’t have to watch and witness this dance. Stars and planets are not so condescending. We, too, live in this big and beautiful world – this has been true from the moment we were born – a moment when the planets and stars were all in a very specific position. When we understand our entire horoscope, we know our position within this dance, too. We also know the possible steps to take so we can move in graceful alignment both with our true nature and with the stars and planets. After someone commits suicide, the people left behind face incredible challenges. Along with feeling immense grief, they can feel guilty for not being able to prevent the suicide. Feelings of anger and confusion are compounded by the intense fear and worry about the loved one’s soul: what will happen to them? It’s easy to feel completely helpless when someone commits suicide. But did you know you can support the soul of someone who ends their earth experience? 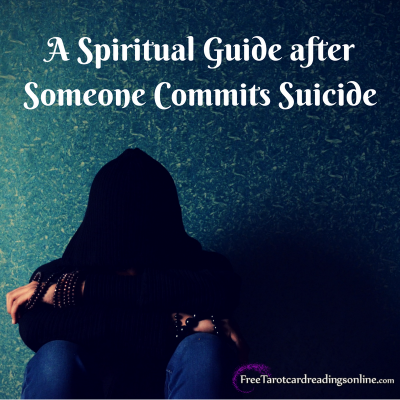 This spiritual guide can help both you and the soul of someone who commits suicide. These are all natural responses after a suicide, but none of them help us – or the loved one’s soul – to heal and move forward. Instead, they can actually increase the soul’s suffering after suicide. This is especially true if we remember that it can be difficult for someone to cross over after ending their earth experience. Why is it difficult for souls to cross over after suicide? After a suicide, the individual spirit doesn’t always cross over into love and light right away. Sometimes, they linger near earth, and some may even attend their own funeral. Here are some reasons why souls may linger near earth after ending their earth experience. Even though many commit suicide to seek relief from suffering, they don’t always find it after death. Suicide isn’t just a shock for the people they leave behind. It can be a shock for these souls, too. They may not feel comfortable in the next realm of experience, and for this reason, they may want to stay near earth until they can accept their decision. When we are alive in our physical bodies, we have responsibilities toward others. These responsibilities don’t go away when we leave the earthly experience. They just change, and souls who choose suicide become aware of this. They may not be able to forgive themselves for the choice they made. In fact, many regret it immediately, only to realize it’s too late to come back. For this reason, they may be very hard on themselves and level some pretty harsh judgment on themselves. After death, these souls can experience negative energy like angry, embarrassed, guilty and even fear. 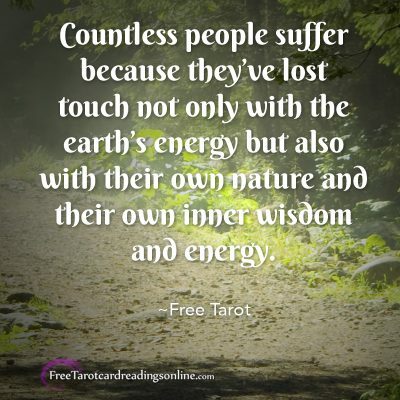 This can be especially true for people who don’t believe in a higher energy or the after lie. Often, they are stuck until they can clear away their negative energy and thoughts. But don’t worry, they are never alone – angels and spirit guides are always there to care for them. The souls of people who end their earthly experience may have unfinished business. For some, this means giving their loved ones messages. Higher energy beings may also need to help them grow in love and learn the necessary lessons before they cross over. These are some of the common reasons why it’s hard for souls to cross over into love and light. So, one of the most important things we can do to support someone who commits suicide is to help them cross over. 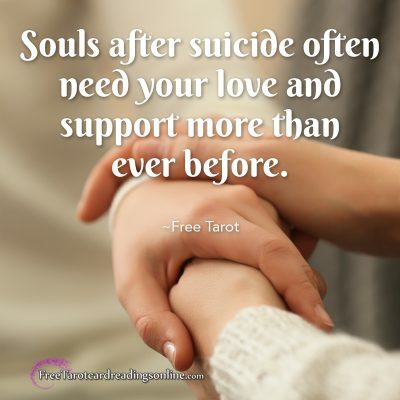 Souls after suicide often need your love and support more than ever before. Therefore, even though you are grieving, confused and shocked at their death, remember that they may still be suffering and that you can play a big role in lifting their suffering. And something beautiful to consider is that in helping them, you can also lift your own feelings of sorrow and grief. They may feel guilty for hurting you and leaving you behind. Even in suicide notes, individuals often apologize for what they’re about to do, and that they never intended to hurt you. So, if you feel abandoned, let them know that you will be okay. You may be angry at them for leaving you. But try to remember that this negative energy won’t serve you or them. By forgiving and reassuring them, you can ease their guilt, and give them permission to cross over. Those who choose suicide may have struggled with self-love and self-acceptance during their earthly life. These struggles don’t disappear after suicide. Therefore, let them know you love and care for them. Reassure them that you want them to experience love and peace and that it’s okay for them to cross over and finally experience the love and peace they’ve been searching for. Old belief systems would have us believe that someone who commits suicide faces damnation and judgment. However, this is not the experience of those who end their earthly life experience. Someone who commits suicide may feel guilty and ashamed of what they did. They can also be afraid to cross over – not sure of what they’ll find there. You can remind them that love – and only love – is waiting for them. When someone ends his or her earthly experience, it’s easy to think they’re gone for good. However, we are all deathless beings of love and light, and our physical bodies are only one phase of our existence. Even though they end their earthly experience, this doesn’t mean they are gone for good. So, if you have something you want to say, don’t be afraid to speak to them. This can be a great source of relief for both you and the soul. It is impossible for us to know the suffering someone experiences before they commit suicide. And although it is a final decision to end their earthly experience, their existence doesn’t end with suicide. Instead, they continue on their path toward love and light. And you can play a very important role in helping them cross over into this love and light. If you know someone who is at risk for suicide try to make sure they have the hotline to talk with someone anytime day or night.